SUP, he makes it look too easy! 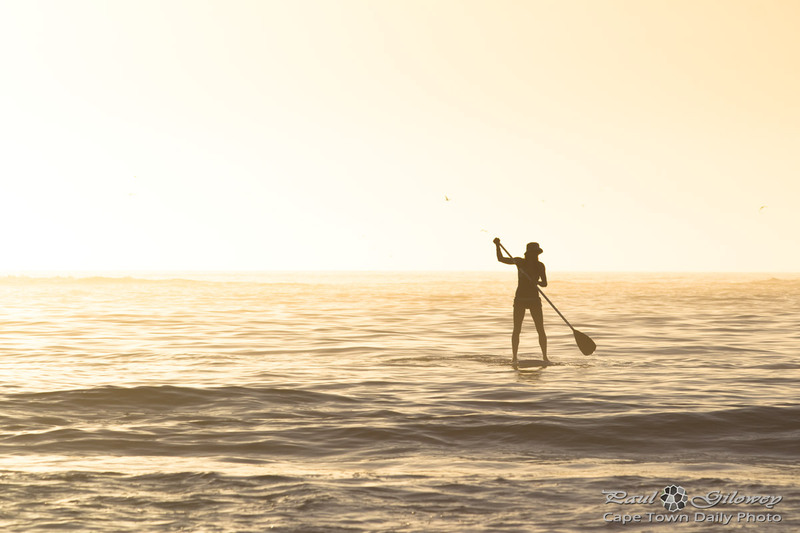 Posted in General and tagged beach, boats, clifton, ocean, sea, sup on Wednesday, 18 February, 2015 by Paul. About six weeks ago I spent the better part of an hour paddling around on the V&A Waterfront canals. It was *really* easy. I had my balance within only a few seconds (probably due to years of skateboarding, I figured, ha) and the only reason I eventually fell in was because I was horsing around, testing my stability, you see. Anyway, fast forward six weeks. I figured my outing at Camps Bay was going to be a cinch. I had this all wrapped up. I was definitely going to impress my host. I grabbed a board and headed for the water, wading in until I was deep enough to be behind most of the tiny wavelets. With a grand display of prowess I hopped onto the deck, pulling myself up onto my knees (as the clever NaishInternational's YouTube lesson instructed). Man, I was on top of this. King of the SUPs. I paddled slowly over the next swell in the ocean's surface - and with that, it had come: my moment to shine. I queued that part of the YouTube video in my mind and, following its instruction, I jumped onto my feet, landing beautifully, squarely, on the deck. Perfectly perpendicular to the board. My moment of glory. This was going to be fantastic. As I rose from beneath the calm ocean waters, I imagined how the entire beach was surely standing on their tippy-toes watching, silently giggling, definitely pointing. Kaela (on the other hand) appeared to have expected this, graciously seeming as though she hadn't seen a thing. I gripped the board, pulled myself up onto my knees. I had this down. Man, I know how to get onto my knees. Oh, wait. Anyway, to cut a long story a little shorter, I proceeded to repeat the sequence of standing and falling about 20 times over the next 30 minutes until I eventually relented, perching on my knees, entertaining my host with a million questions about anything that would distract from my apparent lack of sea legs. Now, it wasn't all bad. Even though I was utterly useless (this time around) it was huge amounts of fun being out at sea, beyond the waves, watching the sun descending. It was peaceful, beautiful, and for these reasons, as our dear Arnie once said, "I'll be back". I'll surely be back. 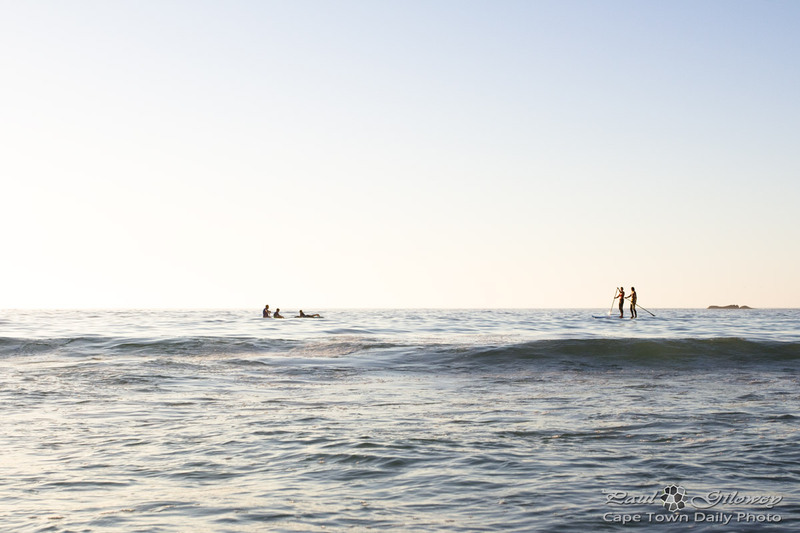 Posted in General and tagged camps bay, ocean, sea, sup on Tuesday, 3 February, 2015 by Paul. I considering buying a board, but figured it would be wise to first rent one to make sure that it's something I'd actually do. A while back I rented a board from Cape Town SUP, who do rentals in the V&A Waterfront canals. It was loads of fun, so I started looking around for a company who'd hire a board in the Camps Bay and Clifton areas. I wanted to hire a board in the evening so that I could sup as the sky turned orange and the harsh sun was on the descend. 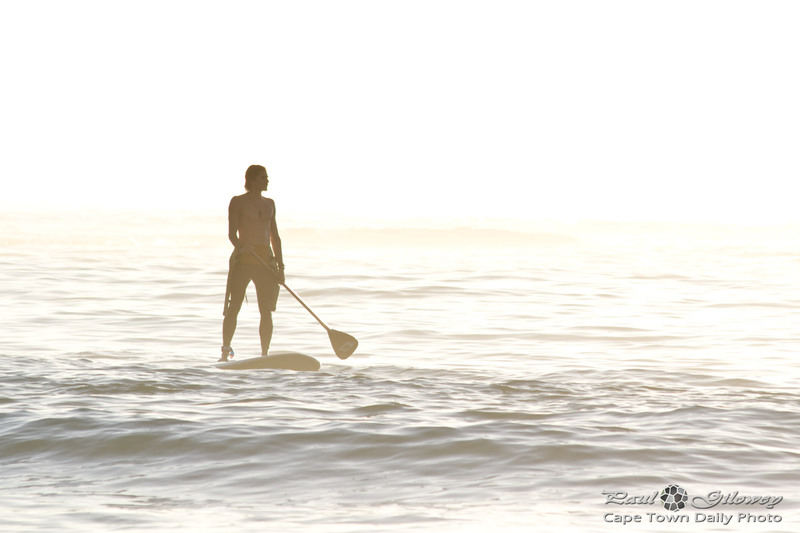 Research lead me to Camps Bay SUPS, a new SUP hire company that operates from Cafe Caprice in Camps Bay. 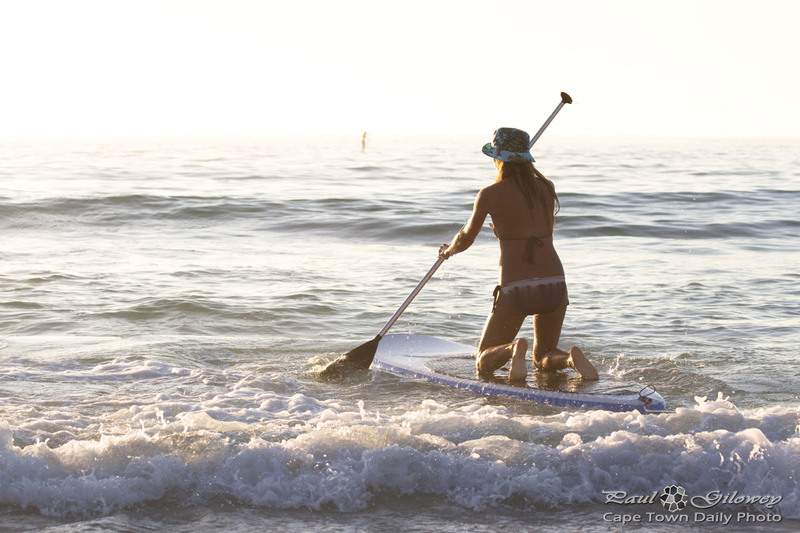 Camps Bay SUPS hires stand up paddle boards at a cost of R150 per hour directly from Cafe Caprice. They also offer day rentals, and are open to discussing weekend or even week-long rentals for those on vacation. I'll tell you a little more about my expedition, but for now, if you're interested, you'll find Kaela's mobile number on their Facebook page. Get in touch via Whatsapp, SMS, or just give her a call to reserve a board. 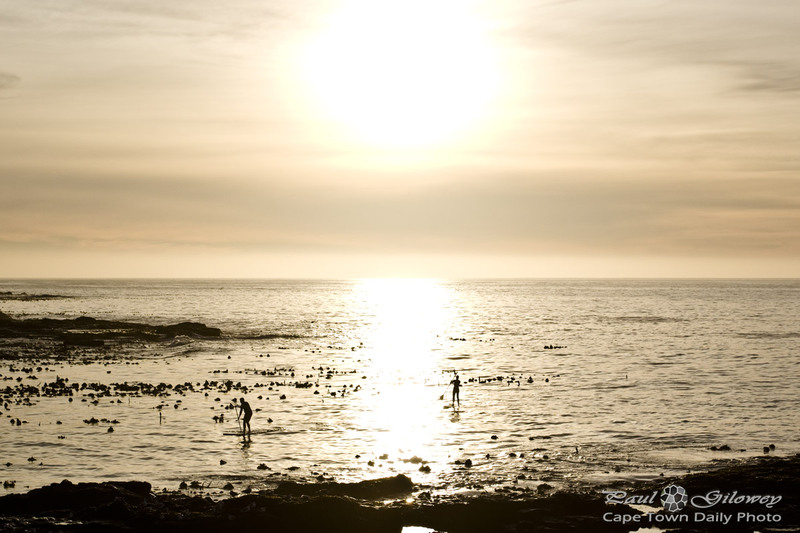 Posted in General and tagged camps bay, ocean, sea, sup on Monday, 2 February, 2015 by Paul. I've been meaning to look into SUP (Stand Up Paddling) for a while now. I figured that I'd first hire a board to check if it's something I'd actually do over the long-term - before buying a board, paddle, roof racks, waterproof camera housing, and all the other bits and pieces one ends up needing to get properly into a sport. 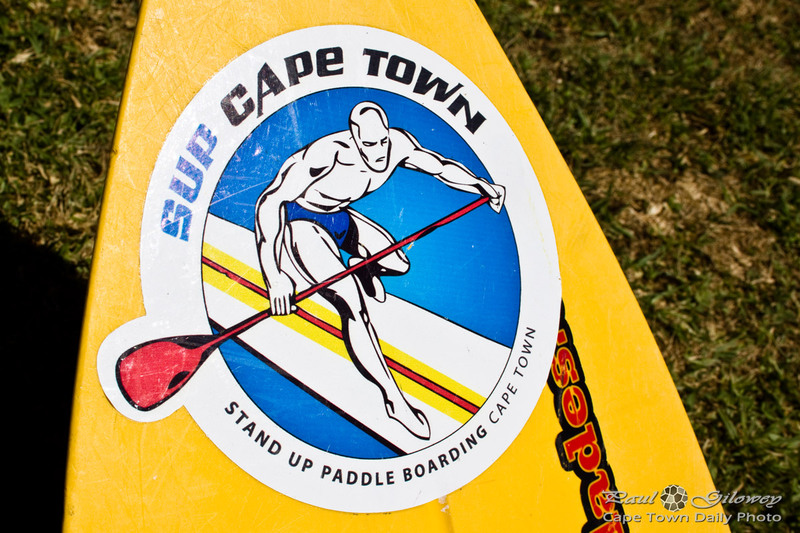 I arrived at SUP Cape Town at 9am and handed over my R200 for the hour of fun that lay ahead. One of the staff gave Riaan (a friend and long-time colleague) and I a quick overview of how to stand on a board, paddling technique, and safety on the canal. We hopped down from the side of the canal onto the huge boards and within about 15 seconds felt fairly comfortable and confident enough to paddle along towards the One and Only hotel. Paddling against the light headwind was a little strenuous, but not too significantly so. It did however cause me to congratulate myself on postponing the trip I'd planned to take on Sunday afternoon when the wind was somewhat more angry. We paddled along the canals watching schools of fish as they swam beneath us. We kept to the right of the canal, dodging the occasional City Sightseeing boats that puttered past (their wake providing a few moments of excitement as our boards bobbed and weaved beneath our feet). The paddle up to the One and Only, and back to the launch site took about half an hour, and the paddle to the CTICC and Westin Hotel and back took about another 30 minutes. Visit SUP Cape Town at the V&A Waterfront canals, over the road from the Caltex petrol station at the V&A's primary entrance. They also have a gazebo on Clifton 4th where they hire boards out at the slightly-reduced rate of R150 per hour. Posted in General and tagged outings, sup, watersport on Saturday, 6 December, 2014 by Paul. Take a close look at the photo. You see them, right? 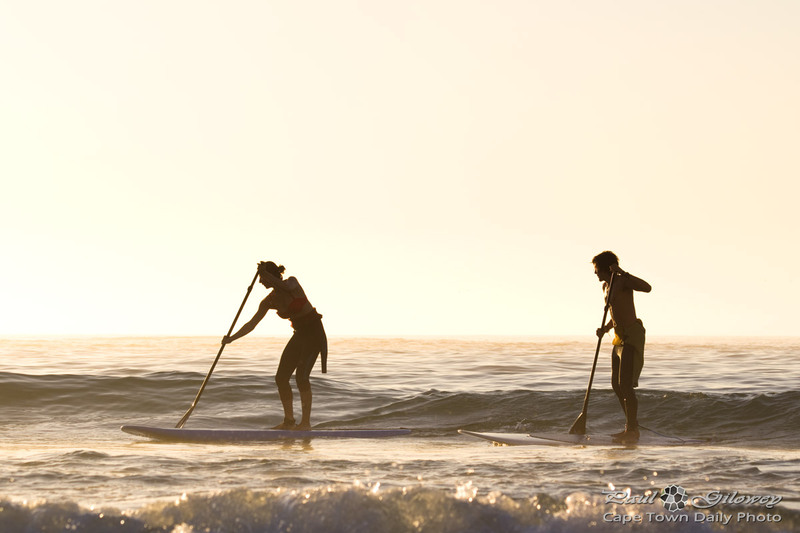 Stand Up Paddling, or SUP for short, has become really popular in Cape Town. 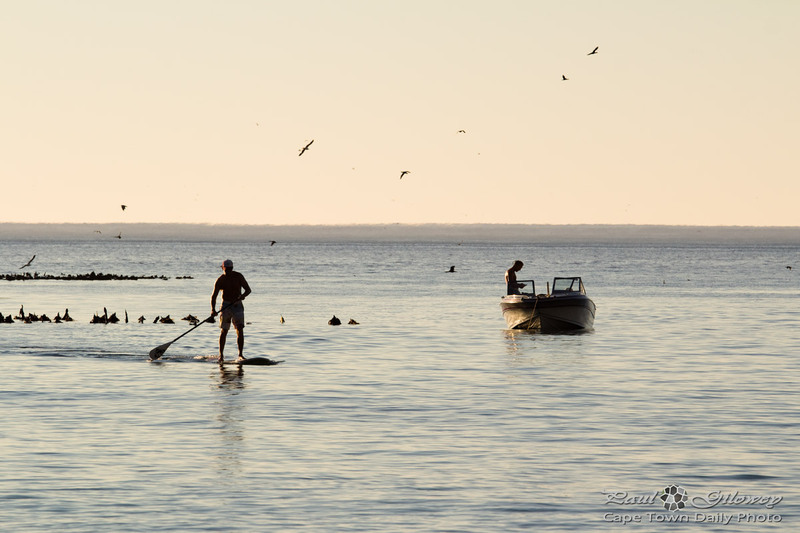 We often have calm, flat seas in summer- the kind of conditions perfect for standing on a board and paddling about. Imagine the tranquility of standing out in the quiet ocean, too far from shore to be disturbed by the crowds, watching the sun set and the coastline turn dark while the ocean water laps at your board. 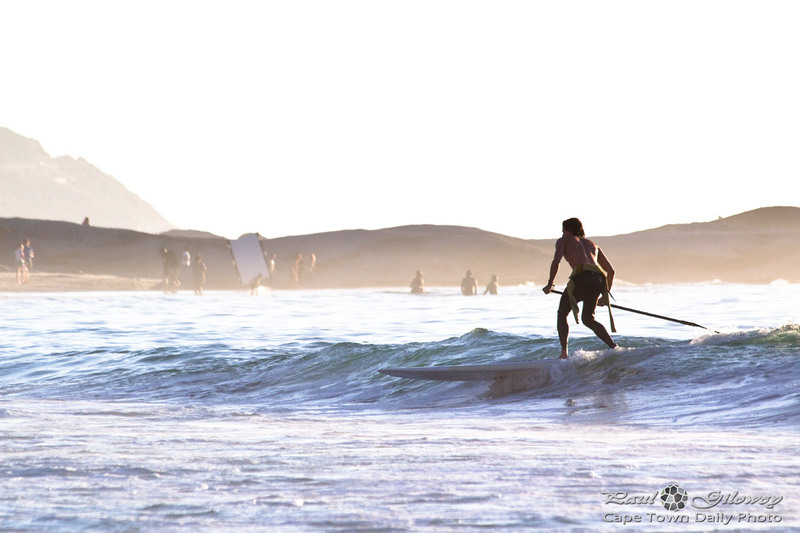 Posted in General and tagged ocean, sea, sunset, sup, three anchor bay on Tuesday, 24 December, 2013 by Paul. 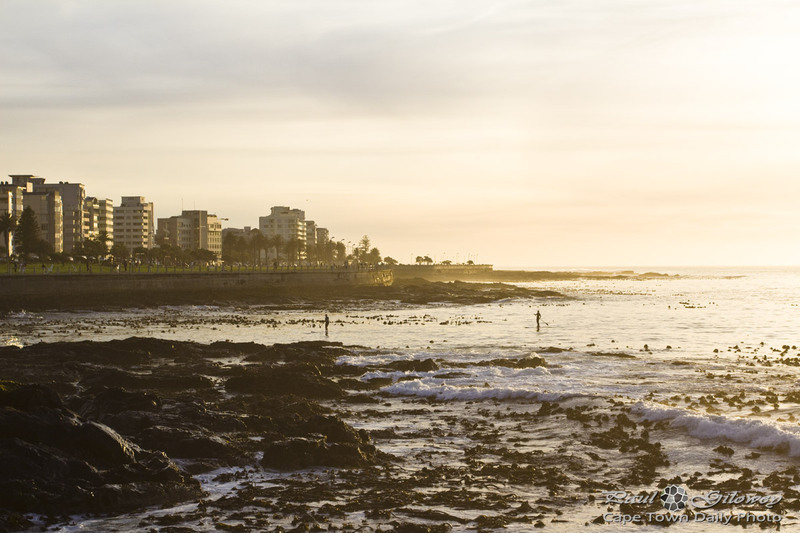 Posted in General and tagged sea point, sunset, sup, three anchor bay on Monday, 2 December, 2013 by Paul.